Zeit is a great little company that aims to “Make Cloud Computing as Easy and Accessible as Mobile computing”, and they’re doing that just with their relatively new service, Now. Now aims to make deploying Node and Docker apps as simple as typing now into your terminal. It also allows deploying static websites, which is what I’ll be using it for in this little tutorial. 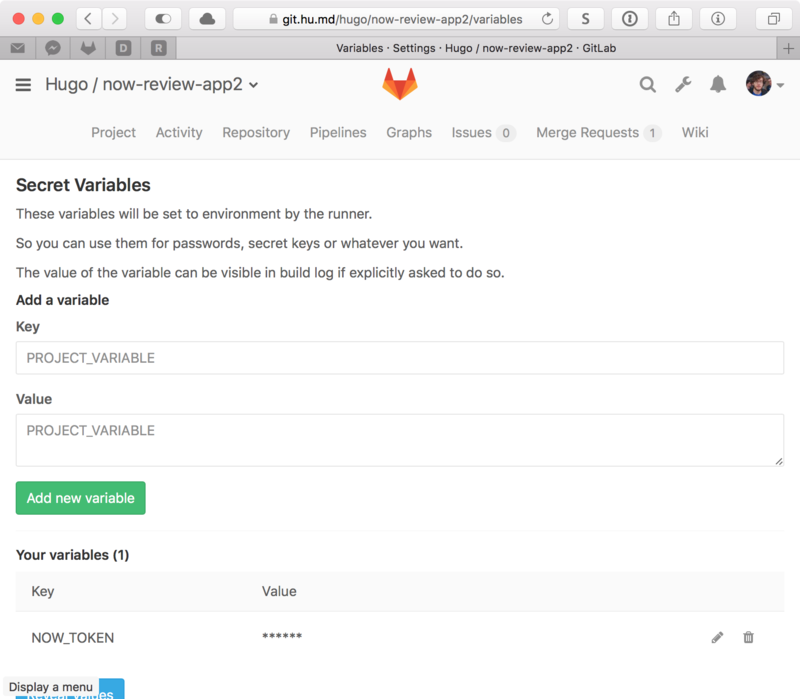 This tutorial assumes that you’ve got a Zeit account, and have some familiarity with GitLab Review Apps, GitLab CI, and that you have a GitLab Runner setup and ready to go. 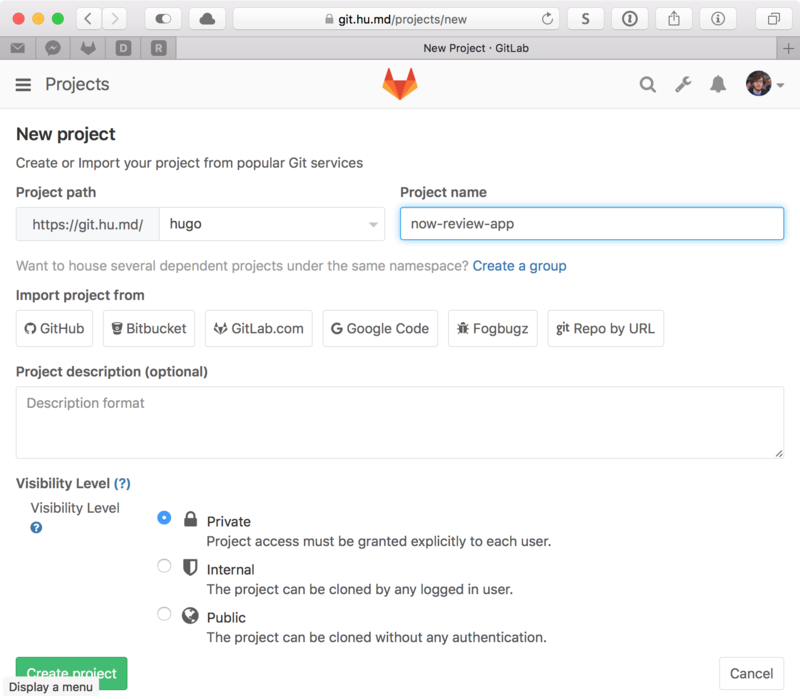 To get started, let’s create a new GitLab project called now-review-app. 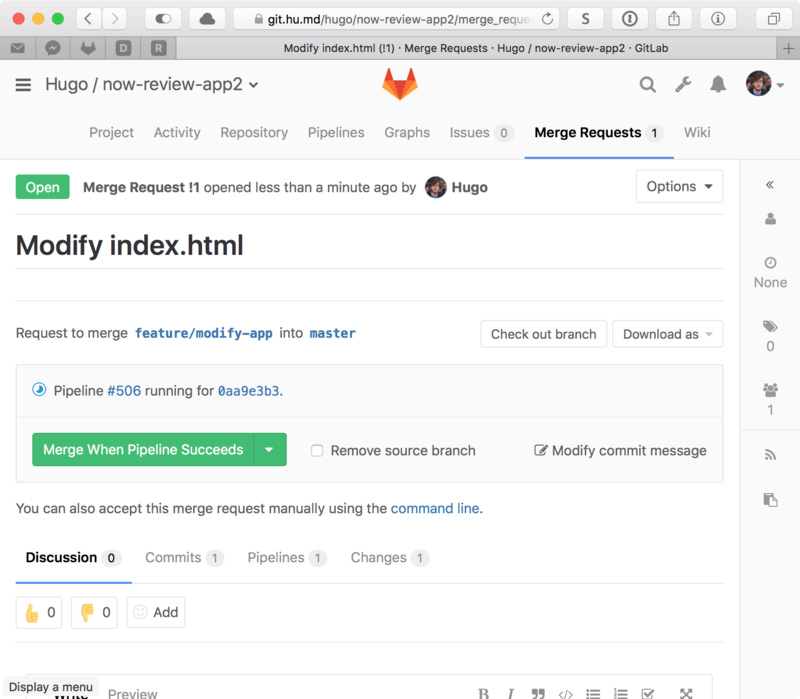 The above code creates a GitLab Review App when a new merge request is created, letting you view changes via a deployment. This allows your reviewers to see changes almost instantly, without having to run your app locally. In this case, start_review creates a new Now deployment of the files in src and creates an alias for the merge request based on the name of the branch (e.g. 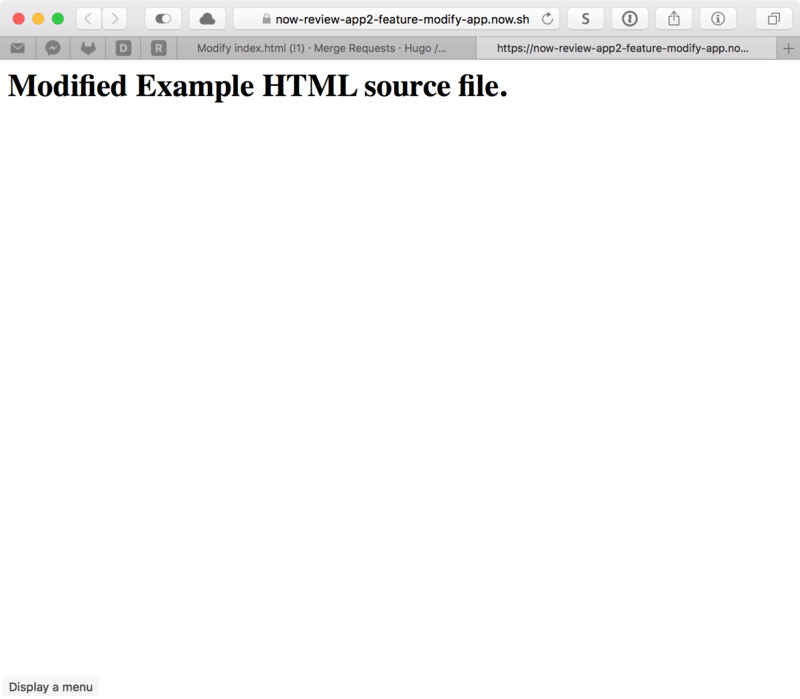 feature/modify-app, becomes reponame-feature-modify-app.now.sh). 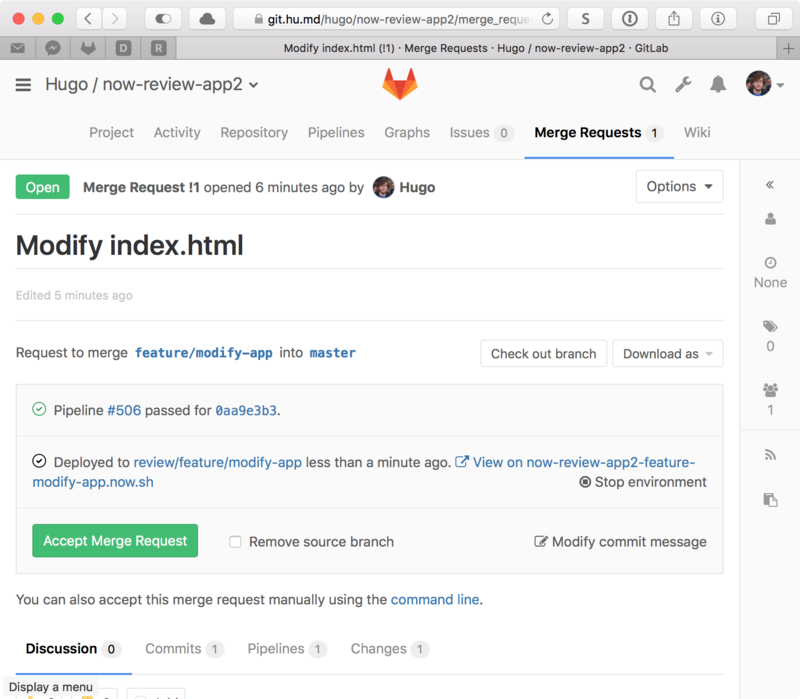 Once the review has finished, stop_review will remove the deployments created as part of the merge request process, cleaning up. Commit and push this code to GitLab. Add a new variable called NOW_TOKEN to the project, accessible via the project menu. This variable will contain a Now token. You can create a new token on this page. Commit and push this to GitLab. It’s worth noting here that this link is an alias for the latest review app deployment. You’ll have to use now ls to view all iterations of the merge request, if required. If you found this interesting, have any questions or queries, or just want to say hi, then hit me up on Twitter!